What if there was a team building experience that went beyond a fun group activity? Something that would help shift an organizations dynamics leading to increased collaboration and productivity? 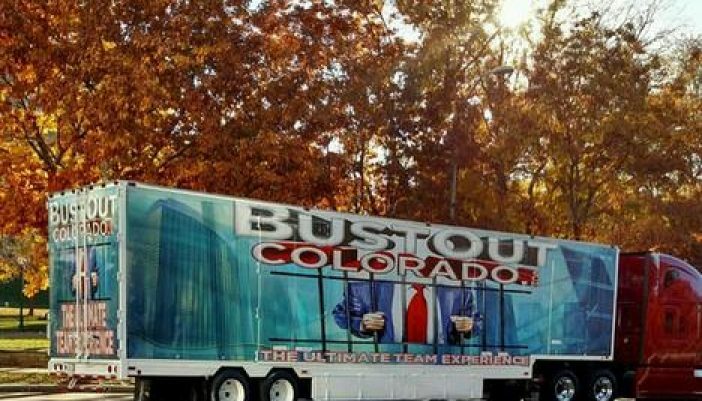 Bustout Colorado was designed to help teams work together more effectively. With over 35 years of combined corporate and educational leadership experience, founders, John A. Jenson and Russell Jenson, bring a level of coaching unparalleled in team building. John’s speaking and consulting business allows him to work deep into organizations, large and small. Target, Voya, TransAmerica, Hunter Douglas, Verizon Wireless and Johns Manville are just a handful of companies that John has extensive relationships with, as well as numerous national associations and non-profits. Russell began teaching the time tested principles of Dale Carnegie Training to ensure professionals became more impactful in the organizations they represent. More recently, he teamed with Marzano Research where he trained leaders to become experts in the areas of classroom engagement and how to work together to produce the optimal learning environment for students. The insight they bring on team dynamics and the subsequent changes companies are making leads them to improved sales, productivity, organization morale, and more. When a group goes through the experience, they not only have fun, but also learn more about themselves and their team members. The time with Bustout Colorado is a progression from a unique 1960’s jail cell bust out challenge to a meeting room with discussion around what was observed while the team worked together to free themselves from jail. Expert consultants facilitate a conversation that makes you rethink the way you interact as a team. It’s an uncommon and refreshing experience. Bustout Colorado is in business to address these three truths. With the right tools, teams become cohesive units that are able to power through projects. Team members who sat on the sidelines begin to share ideas and contribute in ways the team needed and may not have known was missing. Outside perspective is often the very thing a group needs to make necessary changes, which can catapult organizations to new heights. By going beyond a fun activity and taking an honest look at how a team interacts, businesses are given the keys to unlock not only their company’s potential, but also that of their employees. It’s a win-win all around. To schedule your Ultimate Team Experience, contact Russell Jenson at 720.217.9679.